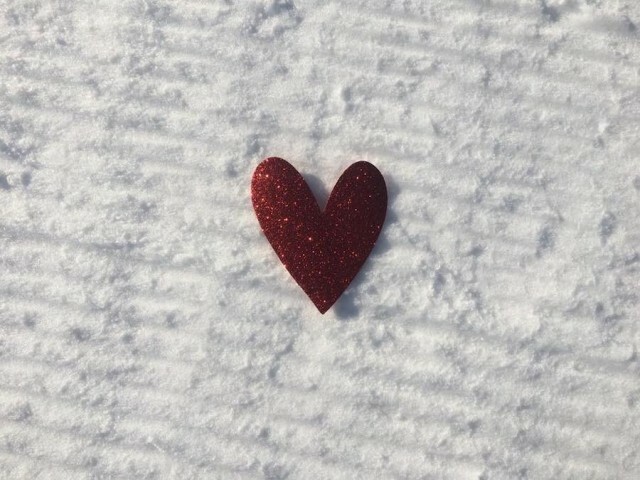 Valentine’s Day sweethearts across New England can celebrate the holiday of love with unique events at New Hampshire ski areas. 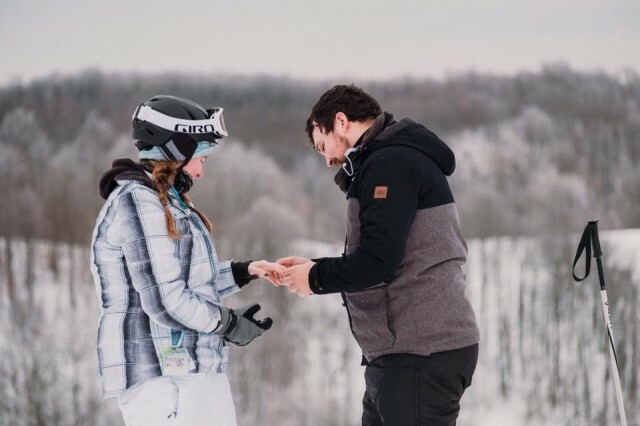 Romantic celebrations will include chairlift speed dating, festive on-slope games, moonlit skiing, a couples ski race, and more. 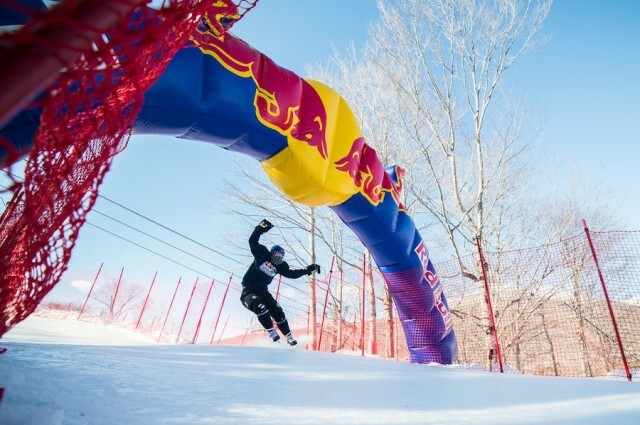 There was no problem creating ice for the Red Bull Crashed Ice Athlete Search at Loon Mountain Jan. 12, where temperatures were cold but competition was hot for a wildcard spot in the Ice Cross Downhill World Championship at Fenway Feb. 8 - 9. 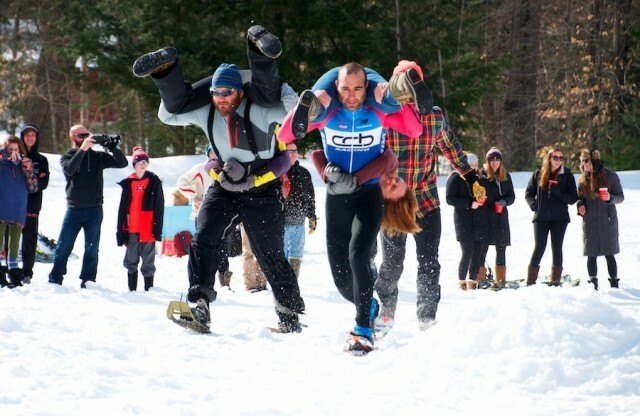 The 11th annual Learn to Ski and Snowboard Month, going on now, has a new twist. 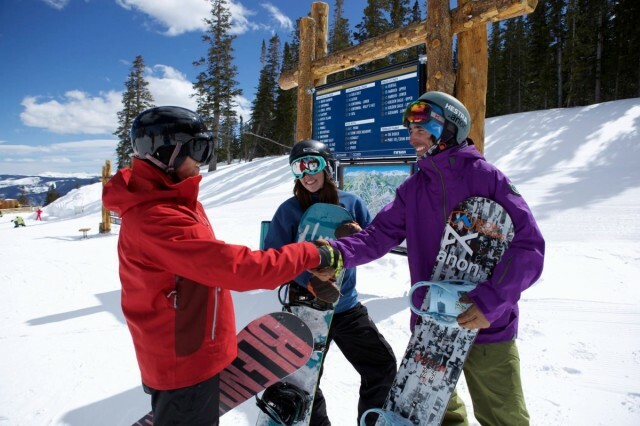 Resorts across the U.S. are gearing up for a special celebration Friday, Jan. 11 – the first National Learn to Ski or Snowboard Day. Pensylvania's Jack Frost/Big Boulder takes center stage this week at the first SnoCountry/Pepsi Resort of the Week. Founded in 1942 with the building of the Split Rock Club on the shores of Lake Harmony, Big Boulder was the first commercial ski resort in Pennsylvania. 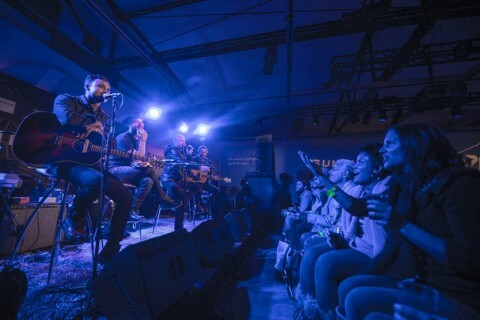 While we’re waiting anxiously for the snow to fly, resorts across the Northeast are celebrating fall foliage season with fun, food, music and stunning views of the mountains. 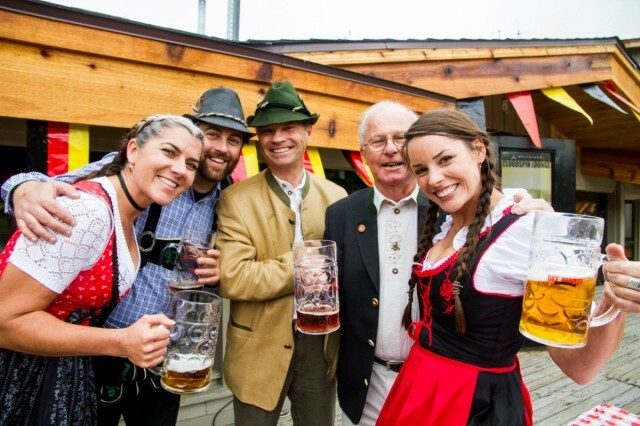 Here are SnoCountry.com’s top picks for Oktoberfests this year. Pair extensive snowmaking coverage at Vermont resorts with several significant storms from Mother Nature this week, and the slopes will be in top condition for one of the most popular vacation periods of the season. 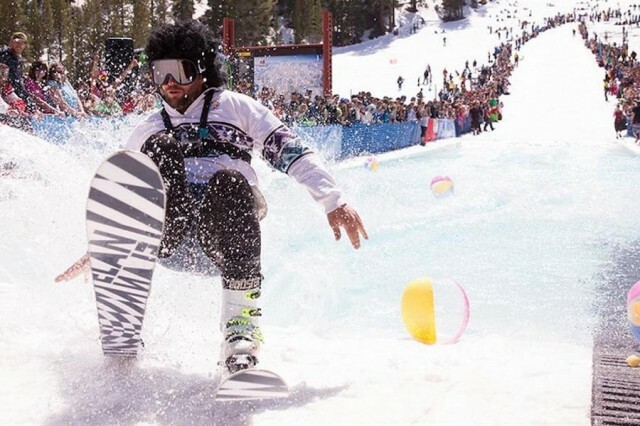 Off-slope activities will be equally exciting during Presidents week with plenty of free live music, great food, parades, games and family activities. 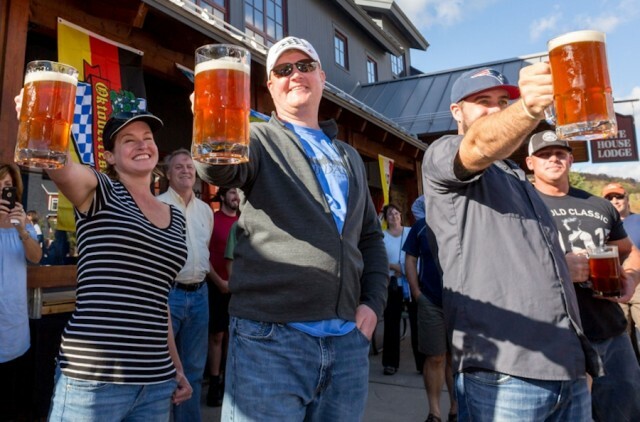 It’s time to dust off our lederhosen, fire up the oompah band and enjoy a tall mug of German beer at Oktoberfests across Northeastern ski resorts. 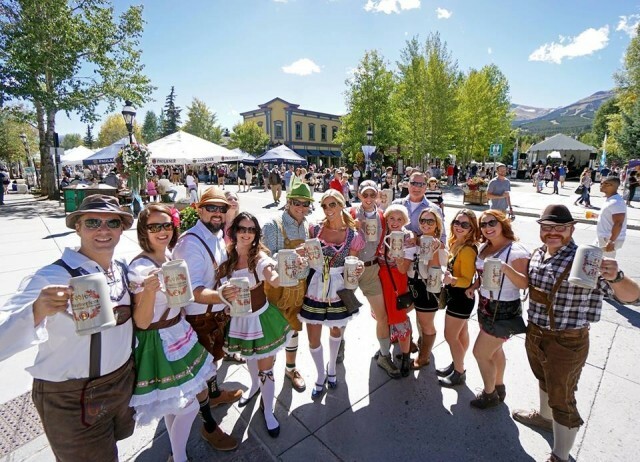 As if to say auf wiedersehene to summer and willkommen to winter, Oktoberfest in the Western mountains is celebrated just as the seasons pivot away from fun-in-the-sun and toward the upcoming ski and snowboard season. A cold and snowy start to the holiday season means New Hampshire ski areas have plenty of trails to ski and ride and plenty of fun activities both on and off the slopes. Across the state, ski areas are busy making snow, with many offering top-to-bottom skiing and riding by Christmas. 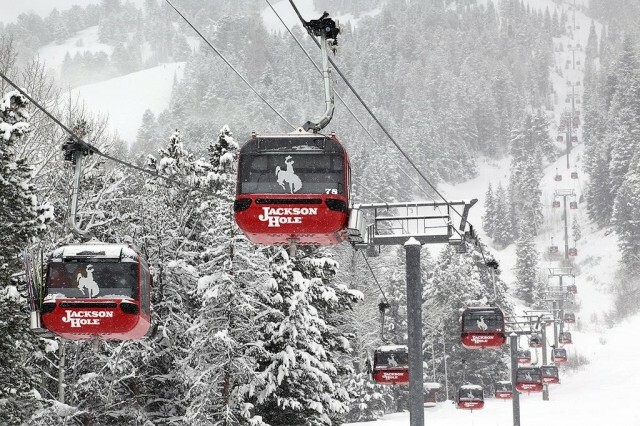 Jackson Hole Mountain Resort turns 50 years old this season and, as a present to its loyal customers, debuts a new gondola out of the base area. With a forecast for cold weather and lake effect snow returning to northwest Lower Michigan later this week ski resorts are getting ready to celebrate the holiday season. Let’s hope Santa brings the snow. Shanty Creek has several holiday events scheduled including the Sardine Special on Friday, Dec. 16, when you pack the car with as many people as possible and you all ski for the price of one, and breakfast and story time with Santa on Saturday, Dec. 17 and 23. 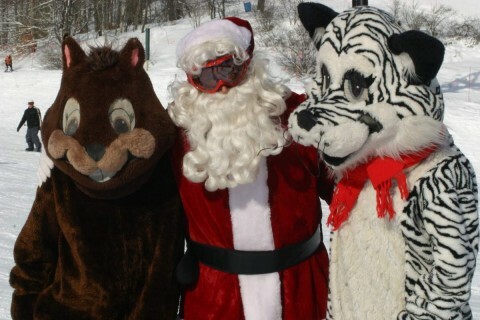 On Christmas Day ski and ride free with Santa on the Schuss Mountain slopes. Just bring a non-perishable food item or clothing to donate. Holiday Ski Packages start from $184 per person, per night and includes lodging, lift ticket, breakfast and a group ski lesson. Boyne Mountain and Boyne Highlands will be celebrating the sights and sounds of the holidays with lots of planned activities, dinners, holiday rail jams, and New Year’s Eve dinners, live bands and celebrations capped with fireworks over the ski slopes. For a complete event schedule you can click on either the Mountainor Highlands. Boyne’s 6-for-1 Day, six people can ski or ride at either resort for the price of one. It takes place Friday, Dec. 16, and celebrates North America’s first six-seat, high speed lift installed at Boyne Mountain in 1991. Crystal Mountain will be celebrating holiday week Dec. 16 through Jan. 7, 2017. In honor of the resort’s 60th anniversary on Friday, Dec. 16 its 6-for $60 when six people can ski or ride for $60. 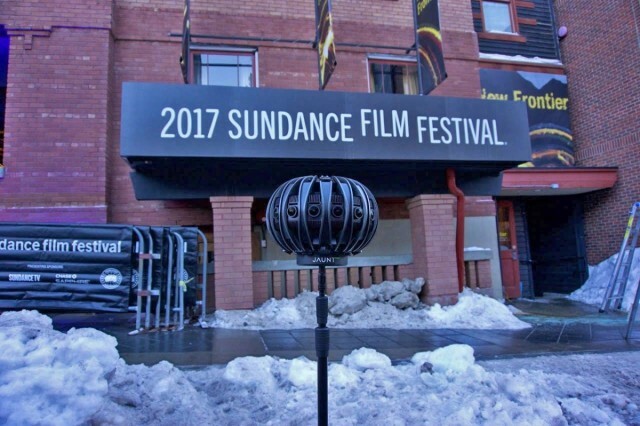 Planned activities will be taking place every day—fat bike tours, snowshoe tours, horse drawn surrey rides—with dinners, live entertainment and New Year’s Eve celebrations. 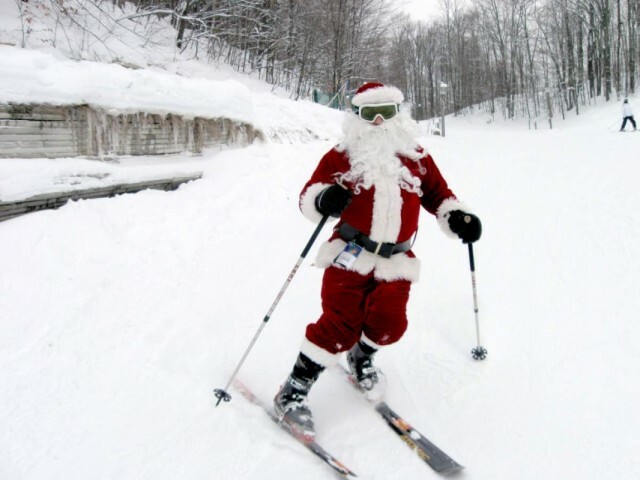 On Christmas Eve, Dec. 24, ski with Santa that afternoon. Treetops Resort has family activities slated all day for Dec. 30, and three different New Year’s Eve dinners and celebrations; a family party, dance party and kid’s party. Overnight rates, including lodging, lift and breakfast voucher, start from $64 midweek and $80 on weekends in limited quantity. 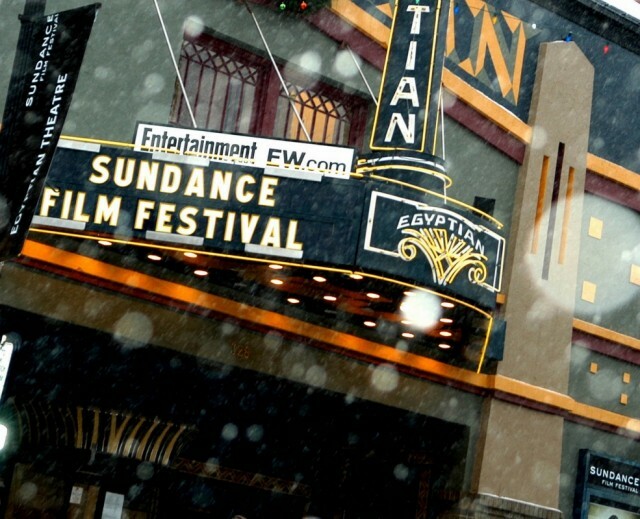 The annual celebration of the new year at a ski and snowboard resort signals that the season is in full swing – and looking forward to tons of snow in the coming months. 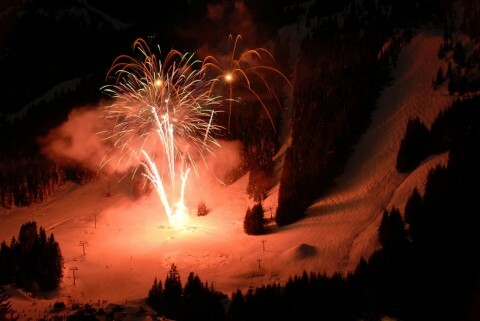 Mountain resorts traditionally feature torchlight parades, fireworks, festive food and hearty drink on the evening of Dec. 31. Many add twists to the holiday activities – for kids, VIPs and just regular folk. 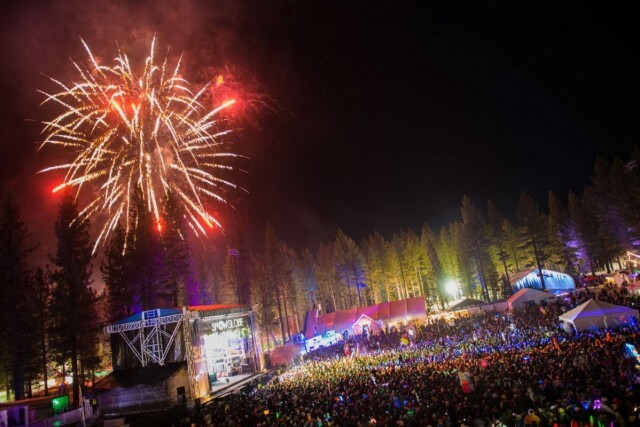 South Lake Tahoe shuts down Main Street for Heavenly Valley visitors to party with music, food and drink before famed Gondola Ball Drop (ala Times Square) to signal in new year. Crystal Mountain lays out buffet and prix fixe dinners, separate parties for teens and adults, and torchlight ski and ride down the Cheers trail for 16 years or older. 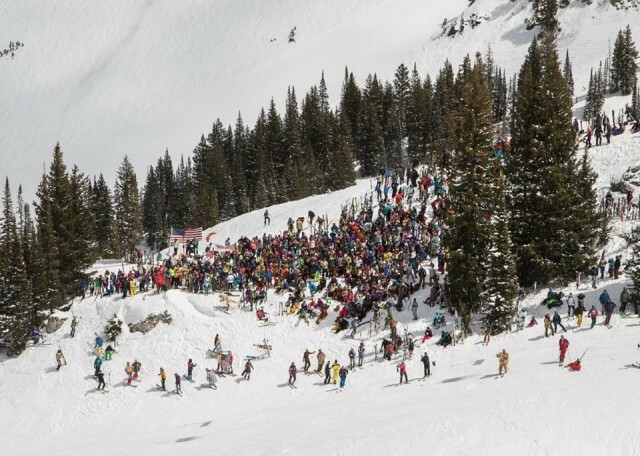 Grand Targhee gets going early with glowstick parade for 5-14 year olds with basic turning and stopping skills. 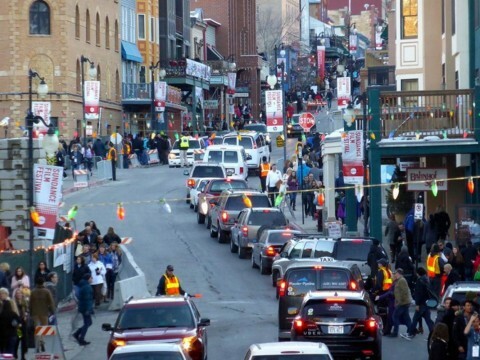 Adults parade at 5:45 p.m. with roadside flares (wear an old parka), and then fireworks. 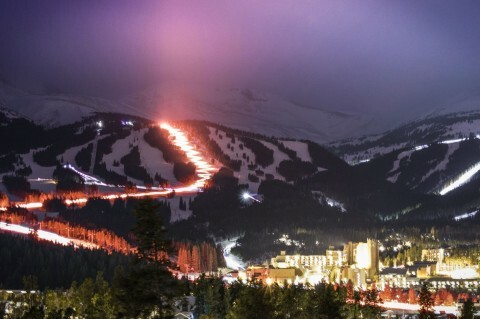 Breckenridge starts out with a glowworm parade on the slopes for the kids, then an adult version later. Many hike up Boreas Pass for best view of nighttime fireworks. Sunday River features evening ride up Chondola for fancy meal at mid-mountain Peak Lodge. Back at base, the music is nonstop until midnight. Stowe goes all day on Dec. 31 with face-painting, handbell concert, champagne tasting and free s’more before torchlight parade and fireworks cap off the year. 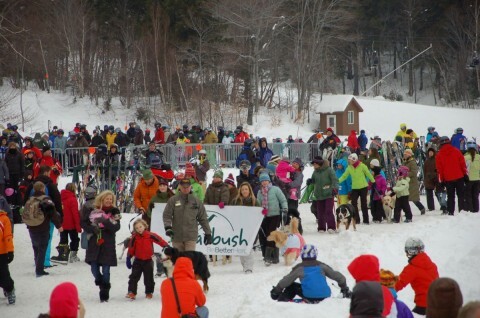 Sugarbush honors a human’s best friend with annual Dog Parade in the afternoon at base of Lincoln Peak, followed by the usual evening festivities.